The Last Spring Equinox for Mayaland? 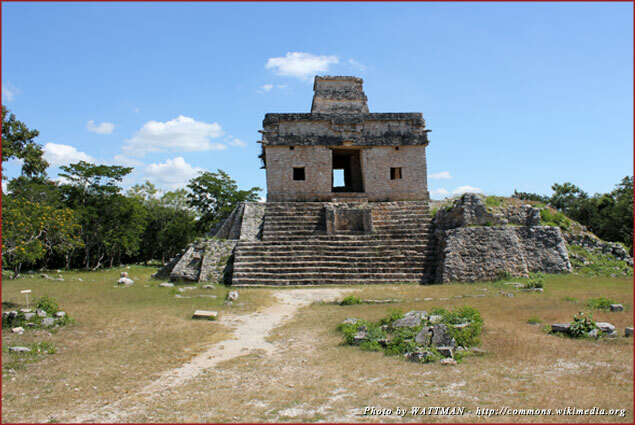 March 20, 2012, marks the spring equinox, and never is it more significant to view the magical displays and scientific and mathematical revelations of the Mayan culture and people than with the Mayan masterpieces of both “Dzibilchaltún” and “Chichén Itzá’s” archaeological sites. Luckily, we are months away from doomsday – December 21, 2012 – when the Mayan calendar is set to expire. While there are thousands of articles, discussions, reports, and special TV programming on the 2012 Mayan Prophecy, we do know that one thing is for certain; the spring equinox is set to arrive in a week and once again, will put on a show that many will not soon forget! 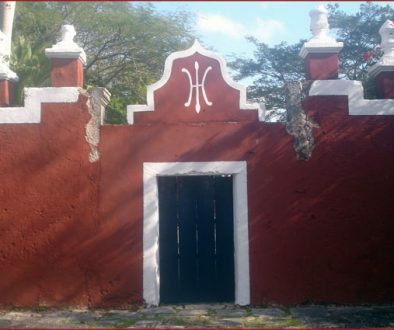 Dzilbilchaltún, “Place of the Stone Writing,” is roughly 10 miles north of the colonial city of Mérida, and approximately 209 miles from Cancún. This magical place is said to be the mother city of the Maya because of its antiquity, which was thought to be continuously occupied from 1500 BC until the Spanish conquest. What is remarkable about this mysterious location is its thousands of buildings or structures yet to be excavated in more than a 10-square-mile radius! Each year, in the early hours of the spring equinox, the rising sun casts a light directly through the door of the temple and out another door, a fine example of the Mayan’s love of astronomy. This annual international event is attended by thousands of visitors from around the world! Now, perhaps this isn’t impressive enough but to the Mayan people, the calendar was their way of life. Stop and ask yourself, how important is a calendar to my daily life? We chart births and birthdays, holidays, work, school, political elections, poker games, and all sorts of other important events. We sort of go with the flow, but to the Mayan people, a calendar was much more. In a sentence, the Mayan calendar served as the Mayan’s religious worship, more importantly, time. The calendar was fundamental for tracking and correlating the most significant elements necessary for their lives; the lunar and celestial system and perhaps the most important component to them, the sun. Astronomy and astrology helped in their cycles of planting and harvesting, and in their worshiping and sacrifices, combining astounding mathematical practices to the equation. The scholars of the world have noted that the construction of the Mayan calendar is profoundly accurate and considered to be a “phenomenal brilliance.” For this, they have been admired and continue to baffle and astonish, while being attentively examined and studied. While one phenomenon may not be significant enough for the traveler, perhaps two phenomenons in the same day might prove the mathematical geniuses the Mayans truly are! Fortunately for us, the “Temple of the Seven Dolls,” named for the seven figurines that were found on the site, will put on its brilliant display once again for its visitors. In Chichén Itzá, the great serpent will transmit its shadow for the world to see, while people will be wondering if this may actually be the last occurrence of the spring equinox? I am certain that you’ll never look at your calendar in the same light again! The states of Yucatán and Quintana Roo are the safest regions in México to travel. The Riviera Maya is the number-one Caribbean destination, with world-class lodging, activities, and numerous cultural exhibits. Incidentally, I hope to be in Mayaland, where I live, on December 21, 2012. Where will you be? If you would like assistance in finding lodging, please contact me for some beautiful possibilities.